We do is sell hi-fi equipment and components that allow you to better enjoy listening to music. Music is important to us all. Have you ever listened to live music and lost yourself in the atmosphere and the sound? Listening to an audio system can move you in exactly the same way but in order to do that it has to be pretty good. Good doesn’t mean expensive so what we do is show you the best choices. Imagine reading a book in which every fourth word had been erased. Not only would it be annoying but it would require a great deal of effort and probably result in you reading for short periods of time or throwing the towel in. Most music systems do that to the music they are supposed to reproduce. Elvis sang with a joy and passion that came across in every song. Can you hear it? When music is recorded immense efforts are made to capture the very heart of the performance so it can be presented exactly as the musician, performer or composer intended. Sadly most stereo systems don’t even try to reproduce the music you play on them. They’re are far too busy being small or neat and tidy and crammed with endless features that you won’t use and replete with loads of buttons you’ll never press. They’re also build down to a price so that they can sit on a shelf and sell to people in the supermarket in the same way that beer or tins of beans are. And they are not built to last either; most have an expected lifespan of 4 years. Good equipment is almost always simple and the money is spent on the inside. Accuracy is considered vital because these components don’t sell on what they look like but instead on how good they sound. Are you the sort of person who chooses a car because it is blue? No of course not. You’d at the very least have a test drive and possibly compare it to other models and manufacturers. But buying a stereo without listening to it is almost as bad. Same as buying it because it has small speakers or a lovely mirror front. We have demonstration rooms to allow you to listen and compare components and systems. Nor are we tied to any one manufacturer but will instead let you choose from the best options to suit your budget and requirements. We afford you time and the courtesy of not being hurried or pressured. Our staff are music lovers and they don’t talk jargon. Instead they will listen to your requirements and explain things to you in a language you’ll understand. They will also demonstrate all the products they recommend. Whatever your budget or requirements you’ll be in good hands. 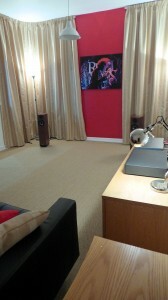 These are our demo rooms. They’re just like your lounge at home. One is small and the other is medium to large sized. This is where our customers listen to equipment. Our job is to stock a good choice of equipment and to understand those products. The “good” part is vital because we don’t want to waste our customers time with mediocre products. So the first thing we do is listen to things. We listen to them and compare them with other items to discover how good they are. A new amplifier for example; let’s say it costs £500. We’d want to compare it with other amplifiers in a similar price range. If it is as good or better we would consider stocking it. If it is not as good we wouldn’t; what would be the point? The last thing we want to do is waste your valuable time with second rate products. We spend a lot of time listening and discovering which components work well together. When customers come in and are interested in a component or system we sit them down and talk about what they want. We then set up a system that is similar to their own or one that we think will suit them. We almost always recommend listening to more than one option. The reason for this is because you only know how good something is when you compare it to something else. We also want our customers to have confidence in their own ears. You’d be surprised at how many people do not think that they will be able to hear these difference. They almost always can. 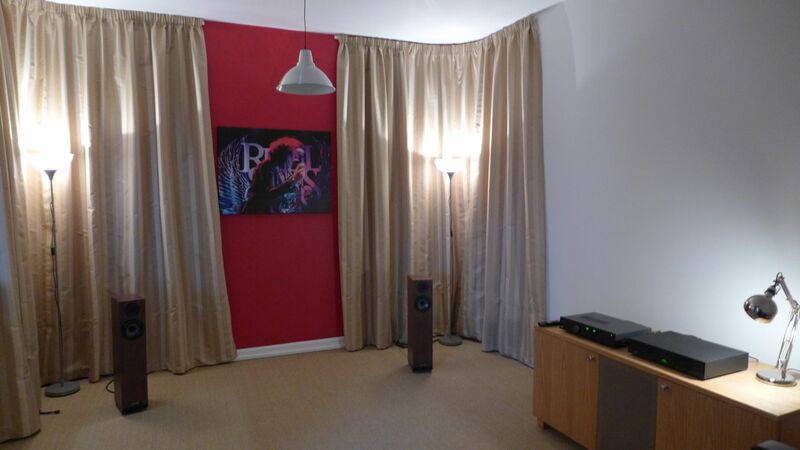 Our demo rooms are at your disposal. Normally you don’t even need an appointment and can call in on spec. However if you’re travelling a long way or don’t have much time; a phone call will mean everything is ready for you when you arrive. Sometimes people don’t have a great deal of knowledge about brands but they know they want good sound and they have a requirement to listen to vinyl or perhaps CD. In these instances we will usually set up a starter system that meets those requirements. We’ll ask our customer how they like the sound and will make changes until everyone is happy and any specific requirements are met. First and foremost we are music lovers. Hi-Fi is a means to better enjoy music and music is something that we share a passion for. 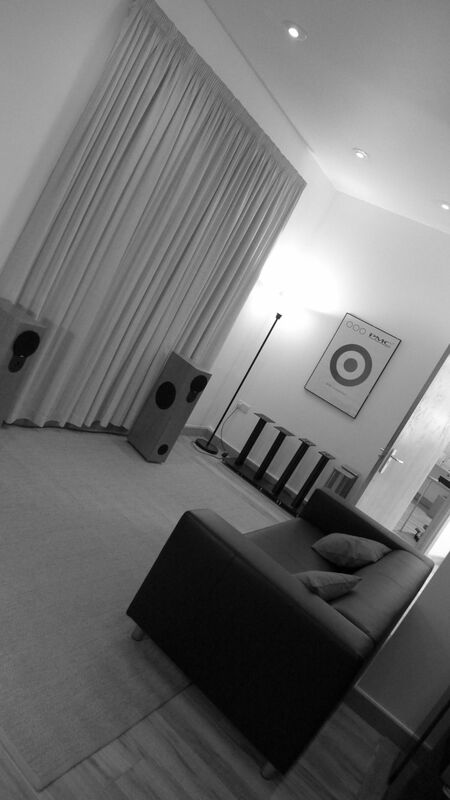 In our smaller listening room we almost always have a good budget system so that we can get someone to hear good sound quickly. Listening is preferable to talking. This system costs about £600. We don’t try and “score on the first date” and some of our customers make repeat visits before they are happy to make a purchase. This is perfectly fine with us and there is no pressure. You might find this strange but we do not try and sell everyone the most expensive systems or components. We’re actually wanting satisfied customers who will use us in the future and who are happy to recommend us to their friends. Customer satisfaction is extremely important to us because we want all our customer to want to come back when they need further advice or wish to add another component. We regularly host events in our store. Again these are not sales events but are more social in nature and allow our customers to speak with people about music and the equipment needed to best enjoy it. Everyone is welcome at these events.